Q: How do I use Textile? Make sure you have “Textile” selected below the post box. If you need help, click (Help). And if you need more help, scroll down and click More Textile help. Q: How do I use the Imp emoticons? Thanks go to the lovely Saeyre who created these Impies. You can see more of her work on deviantART. Q: The submit button on the main site is broken. How do I submit an article? A: Email it to the ImpishIdea submission email at submit@impishidea.com. Q: Who do I contact for help and stuff? A: You can whisper the Administrators or Moderators for help. Alternatively, you can also email Puppet and SlyShy at impishidea@gmail.com. Q: Where should I submit my creative writing for critique? A: Probably in the Critique Wanted category. If you’re a dedicated writer and are looking long term, check out the Impish Writing thread. Comment there if you have any questions or need any help. If you are paranoid about anybody “stealing” your writing, the Critique Wanted section is only viewable to registered members of this forum. Same goes for the Impish Writing category. Q: Can I call Spanman Spanny, Spanny Granny, Spanner, Span the Man, Spammich, SpanMAN (With extra emphasis on the MAN part), and so on? A: Calling Spanman anything other than her username is a violation of Intergalactic Law. Violate this law at the risk of being potentially beaten over the head by a rolling pin. Q: I haven’t watched The Wire, can I still hang out here? A: Yes. People live in a state of “Have Watched The Wire“ and “Are Going To Watch The Wire“. However, those who spend too long in the latter state are likely to be cast out. Q: But I’m not old enough to watch The Wire! A: Sansa and Marquis will be dispatched to your house as soon as you turn 18. We have a system in place. When you add a comment, try to, well, add something to the discussion. Express your opinion, but respect other people’s opinions as well. And again, when you add a comment, really try and contribute to the discussion. Don’t say things like, “This” and leave it at that. Explain why you agree or disagree. Don’t “repost” discussions. You can use the search feature to help you find old discussions. Discuss something that will appeal to a wide variety of people. If only you and one other member watch a certain TV show, than it probably doesn’t need its own discussion. However, you can still talk about it in the General TV Thread. Choose the right category for your discussion. The most common mistake is when people submit their writing to the Impish Writing category when it’s more appropriate for the Critique Wanted category. It’s confusing, I know. See Jeni’s post here on the difference between the two. If you don’t have anything to say on the subject, don’t start the discussion. Please Note: These are not rules, but guidelines. I’m not going to ban you ( ) if you go off topic once or twice, but try to keep these in mind when you add comments and start discussions. That said, political and religious discussions will not be tolerated. Thank you! If you are unfamiliar with IRC and don’t know how to connect then check out the #impishidea topic. Nice one, now all you have to do is to direct the new imps to this thread rather than repeat this over and over every time there’s a new member. /captain obvious. I've updated the FAQ so it includes info about where you should submit your creative writing. Maybe in the opening post we should have a little ‘hi, if this is your first time on II, then welcome’ speech? I already covered that part in the opening post. I’m trying to add tags to my Let Go, Let Twilight article on the main site, because I forgot to do it the first time round. However, there is no save button. What do I do? Can I do it? ^^I tried to do something similar. I think you might have to be an administrator to edit live articles… even if they are your own articles. Post on my wall the tags you want and I can update them for you. Out of curiosity, which categories can only be seen by members? I know the Critique Wanted category, but are there any others? Impish Writing, Just for Fun, Sporkings, Article Workshop, Roleplaying, Critique Wanted and NaNoWriMo. I think I'm having some trouble with getting a picture attached to my account. I provided the link in the little box, but it doesn't seem to work yet. ^^Was it the right size picture? Also, are you sure you used the correct url? You right click and click “copy image url” or in Photobucket, you use the “direct link” url, I believe. You probably know all that, but I didn’t when I joined because I’d never joined a forum before, so…. It may have been a bit big, so I'm probably going to try again now. Although, I should've been doing my homework two hours and twenty-three minutes ago, but the wonders of the internet seems far more exciting right now. Plus, I don't go back to school for another two days. OldArnold, I feel I should warn you, you’re probably going to get very addicted to this forum for a few months. I tried once. And failed absolutely miserably. I have mastered the picture problem! How long does approval take on articles? Is there any way to get feedback if something’s holding it from approval? How long does approval take on articles? About the same length of time it takes for someone to start guilting me. Edit: wait, dammit, now you all know my weakness. Hahah, oops. Well, if I didn’t approve it straight away I know I would have forgotten. 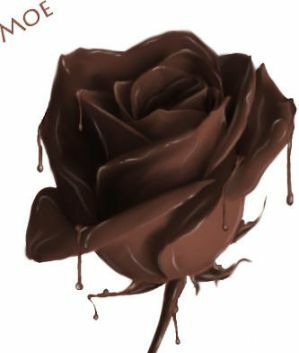 And I’m going to assume that rose is made out of chocolate. I like the way Nate thinks. Pathetic as it is, I cannot figure out how to do that spoiler thing, like in OldArnold's post here. Any help? Just put [ hide ] and [ /hide ] around what you want to hide, without the spaces. If you don’t want to go all high-tech about it, just put NO SPOILERS FOR YOU in front of it, and people will get the hint. I tend to read them very carefully and…forgetfully. I try to be careful to mark when something in spoiler tags is actually a spoiler. But it can be somewhat difficult. What does it mean for a thread to be "Sink"? When a topic is “sunk” new comments won’t “bump” it to the top of the page. It’s sort of a kinder way to end a thread than closing it (so no one can add new posts) or deleting it altogether. If you still want it, you can go find it and continue to post on it, but it won’t return to the top of the page again, so it’s basically going to die out eventually. Updated the FAQ to include the contact information of the active mods and admins as well as some guidelines for adding comments and starting discussions. This is primarily directed at some of the new members, but it applies to everyone. How does one mark all threads as read. For some reason I’m seeing threads last updated in 2009. Maybe because you haven’t read them since 2009? Welcome back, O Great Old One. Whoa. Long time no see. Wow, you’ve been away awhile. Hello guys! I came back because SlyShy linked me to his thread but I may stay for others. Hey Puppet, you should add the smilies to the first post of this thread. I meant to do that, but I completely forgot. Thanks, swenson! Alright, using the code command I updated the FAQ so you can see the inputs/outputs of Textile all in one place, I also added a few new commands as well. Thanks, Armourer. I also noticed that %text% has the same effect as @text@, but only certain commands such as _text_ , *text*, etc. don't work while others like +text+ and -text- still do. Agreed. I’ve been feeling the need to post THE WIRE in giant font lately. We have to argue over whether or not you are a boy or a girl. I found The Wire very frustrating and difficult to understand. Are you aware of my username’s allusion, Inspector? That question may be more difficult than it first appears. Orlando is a novel by Virginia Woolf. I take it you are a girl. My username is less obscure. Or maybe I should just LES MIS the way Sansa THE WIREs. Question on the Submission of Articles: Is it best to provide articles optimised for HTML, or Textile formatting? HTML works just fine in the editor. As far as I can tell, Textile is just a more roundabout, user-friendly way of formatting in HTML seeing as how you don’t have to close tags. If you want more control though, go with HTML. In any case, we (or, at least I) usually do a quick proofreading of articles and fix any formatting issues and such then. Textpattern question: A draft I posted for approval somehow saved twice. How do I deal with the second one? Kyllorac may have powers to delete it. If it’s not delete-able, what I would do, though, is just use one of the drafts for a future article. Good idea! There is a Part Two (And a Part Three), so I’ll just use it for that. I updated the submission email to the new one. Question: why and how was an article I posted in May somehow re-posted today, complete with all previous comments? That was a mistake on my part. A user emailed me and requested some assistance with their article, but there was some miscommunication between us and I ended up editing Taku’s article by accident. Because of the way Textpattern works, Taku’s article automatically got bumped to the top when I corrected the mistake. Puppet, is there a way to change the publication date of the article? That could put it back in the “right” place in the article order. Good idea, swenson! Everything is back to normal now. I can't submit an introduction post ... every time I try to start a discussion it tells me I don't have permission. Help? I’ll vouch for him if there’s any question. He’s been waiting for so long I forgot to bring it up. Oops. I don’t see any reason on my end why he shouldn’t be able to start a new discussion. Hey, Forest Purple, try again. I checked a few days ago and s/he was in the member group “New Members”, not “Members”, and New Members doesn’t have the ability to create new discussions. I’m not sure what caused the group to switch however—minimum number of posts? Time spent as a member? Puppet switching your member group? Puppet probably knows. “New Members” is the group approved applicants are automatically assigned to currently. New Members can post comments, but they can’t start new discussions. I’m actually not sure who started the “New Members” group in the first place, but I manually switched Forest Purple’s group to “Member.” She/He should have gotten an email notifying him of the change. Thank you, Puppet! I got the email, and I can post now :) Better go write my intro. I’m not able to log into TextPattern to submit the article I wrote. Then again, I haven’t submitted anything in a long time. Has the system changed? Huh. It still lists you as being a staff writer. I don’t know why you can’t log in. Maybe Kyll can help. I’ve gone in and reset your password. You should be getting an email shortly, and you can change it by going under the Admin > Users area. Okay, thanks! I’ll try that and let you know if it works or not. EDIT: It worked and I have copy pasted the article in. Should I keep the status on live, or switch it to pending? Pending. Live = posted on the main site, and Asahel just posted. Okay, it’s pending. I’m a bit rusty at all this, so thanks for your patience. so I resized my icon to 32X32 but it’s still not showing up properly…. Hmm I can see it fine. I mean, it’s there, but I had sized it smaller so the entire face fit in the box without anything being cut off. edit: got it fixed by uploading a second version with a different link. How long does it usually take for submitted articles to be posted? It varies. Through Text Pattern, it usually won’t take more than a week, depending on how many articles are in the queue and how much time editors and publishers have to proof them. Through the submission email, it can take significantly longer because only a couple of people check it, and those articles, as they are usually first articles, usually get some sort of response/suggestions for revision, so the email checkers have to have the time to read through it and comment on it. And I know that you have submitted to the email, and I plan to look at it today or tomorrow. Sorry, I just wasn’t quite sure about how that worked. Thanks!